Regular price $36.00 Sale price $48.00 21.0 oz. / 594 g.
Call 1 800 -89 1-83 for WHOLESALE inquiries. POPWHITE is inspired by the art and science of color and beauty. Colors opposite each other on the color wheel, such as purple and yellow, are complements. Due to the nature of color perception, complements cancel each other out. 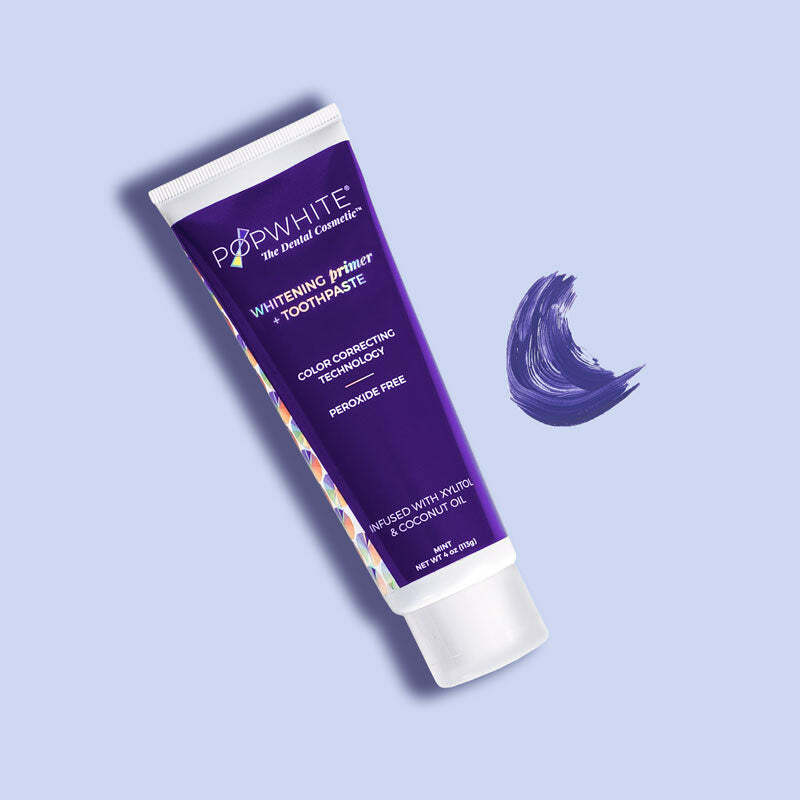 POPWHITE was born when an innovative makeup artist and an experienced dental scientist had the bright idea to whiten smiles naturally by infusing premium oral care products with an extraordinary purple formula. This Power of Purple® ("POP") formula cancels out the visibility of yellow dental stains. 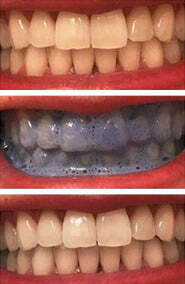 POPWHITE'S patented purple technology is proven to whiten natural and artificial teeth safely and gradually. of users said they prefer using POPWHITE over whitening strips and trays. 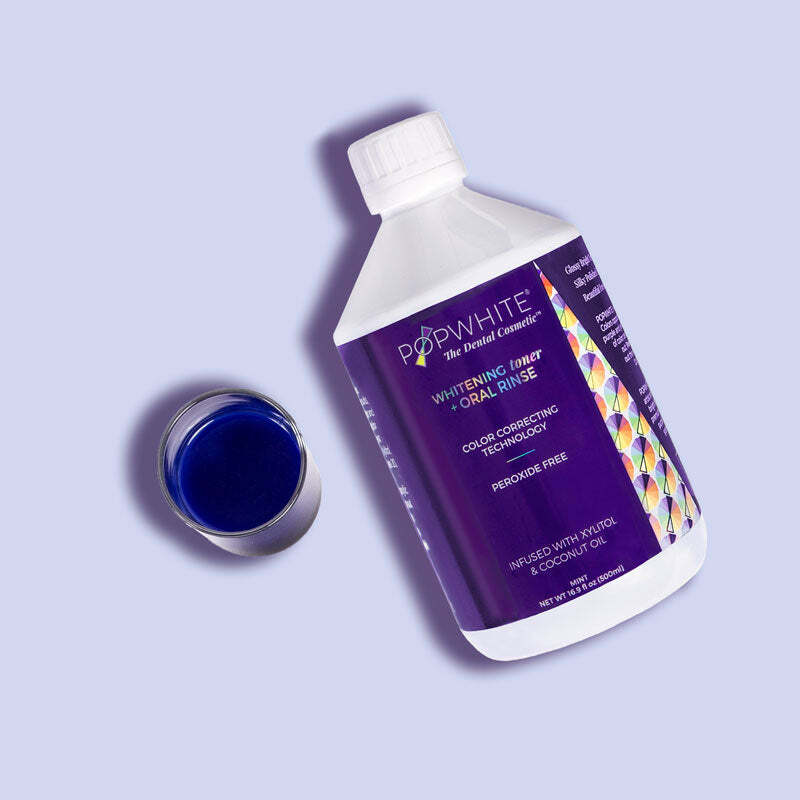 of users said POPWHITE does not cause irritation, pain or sensitivity of the gums or teeth. of users said POPWHITE primer toothpaste and POPWHITE toner oral rinse when used together twice a day for fourteen days, whiten teeth an average of four shades. Sorbitol, Purified Water, Hydrated Silica, Vegetable Glycerin, Xylitol, Xanthan Gum, Sodium Lauryl Sulfate, Coconut Oil, Titanium Dioxide, Peppermint Oil, Menthol, Citric Acid, Sodium Benzoate, Sucralose, Red 33 and Blue 1. Purified Water, Xylitol, Vegetable Glycerin, Sorbitol, Coconut Oil, Polysorbate 20, Peppermint Oil, Peg 40 Hydrogenated Castor Oil, Sodium Benzoate, Menthol, Zinc Pyrrolidone Carboxylic Acid, Vitamin C, Red 33 and Blue 1. After brushing with POPWHITE primer, rinse thoroughly using POPWHITE toner. For best results, twice a day, every day, brush with POPWHITE primer and rinse with POPWHITE toner.